Weybosset Street was alive with excitement as nearly 14,000 people attended the opening of the new 3,100 seat Loew’s State Movie Palace on October 6, 1928 to see the movie “Excess Baggage” on the big screen. Those lucky enough to have seats to the show were led by their usher, past talking parrots, into the opulent theater. People in Providence enjoyed the last days of the fabulous Roaring Twenties with no idea that in a little over a year the Jazz Decade would end, and the city built on industry would succumb to the Great Depression. Designed by the renowned architectural team of George and C.W. Rapp, the gilded grandeur of the Theatre personified Marcus Loew’s philosophy that “tickets were to theatres rather than to movies.” The venue prospered for decades but faced declining attendance with the advent of television in the 1950s; significant damage from Hurricane Carol in 1954 also took its toll. It was renamed the Loew’s Theatre, then the Palace Concert Theatre, as rock concerts replaced film screenings on the proscenium stage in the 1970s. Over time, the Theatre had fallen into disrepair and faced almost certain demolition by the late 1970s. But, in 1978, it was saved by seven Rhode Island corporations and became a private, nonprofit organization, known as the Ocean State Theatre. 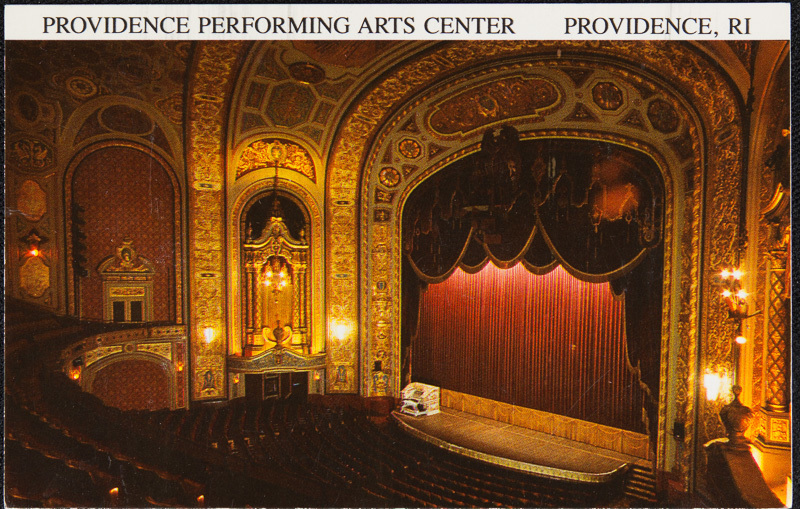 In 1982, it became the Providence Performing Arts Center (PPAC). Postcard of Interior of PPAC: This postcard of PPAC in the mid- 20th century captures the elegance and opulence of the theater. Velvet curtains, gilded interiors, and ornate moldings made PPAC one of the most extravagant venues in Rhode Island. 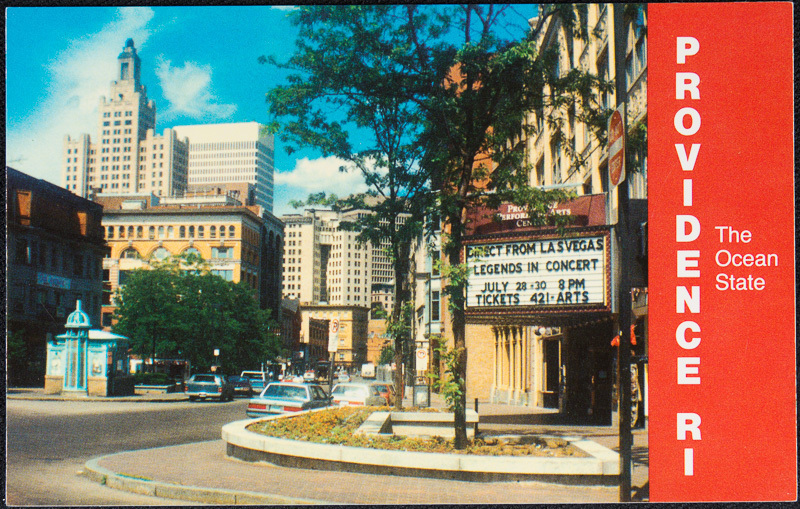 Historian Mack Woodward comments on PPAC’s role in revitalizing downtown Providence in the 1970s. Don't just enjoy the PPAC from the outside, you can find information about shows here: https://www.ppacri.org. 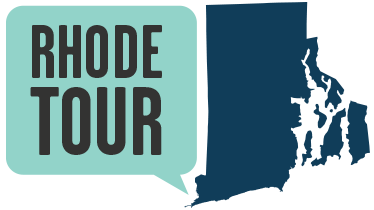 Amelia Golcheski, “Providence Performing Arts Center,” Rhode Tour, accessed April 21, 2019, http://rhodetour.org/items/show/197.